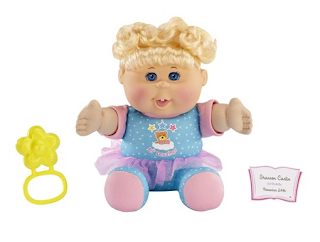 Select Target stores have the Cabbage Patch Kids Toddler Girl with Blonde Hair and Blue Pajamas on clearance for just $1.99. Check the Target site to see if there is one at a store near you. You may need to have them price match the website in some stores.